Bed and Breakfasts near Goldhawk Road for 1 night from Fri Apr 19, 2019 to Sat Apr 20, 2019 within 25 miles, in an Average Nightly price range of £1 to £200. Situated just 400 metres from Olympia Exhibition Centre, 88 Studios offers accommodation in the London borough of Kensington. Free WiFi is featured throughout the property. The rooms offer an equipped kitchenette, air conditioning and flat-screen smart TV. The en-suite bathroom features a rain shower and complimentary toiletries. There is a 24-hour front desk and daily maid service at the property. Kensington tube station is just 0.8 miles away. Westfield Shopping Centre, The Kensington Gardens and The Kensington Palace can all be reached within 1 mile from 88 Studios. The Royal Albert Hall is 1.4 miles away and Hyde Park is 1.6 miles away. Located in Kensington Olympia, this 3-star hotel offers a neutral decor in all rooms. Olympia Exhibition Centre and Kensington Olympia Tube Station are just a 2-minute walk away. The Holland Court Hotel is set across 2 period buildings, and its rooms all feature a TV and tea and coffee-making facilities. There is Wi-Fi access throughout the building, for an extra charge. There is also a 24-hour concierge and reception service. Earl's Court Exhibition Centre is less than a mile from the building, and the Royal Albert Hall is just over a mile away. London buses stop outside Holland Court, which can take you to the main tourist attractions. In the charming area of Hammersmith, this elegant hotel features uniquely styled rooms with iPod docks, smart TVs and stylish en suite bathrooms. Hand & Flower also offers British pub food and beers from all round the world. Housed in a historic building, the modern rooms at Hand & Flower come with a flat-screen TV with Netflix, mini bar and Nespresso machine. Guests can benefit from a work desk and free toiletries in the bathroom. All rooms provide views of the city. The ever-evolving menu of Hand & Flower includes the staples of British pub food including fish and chips, rustic beef burgers, succulent sausages and delicious pies served all day. Hand & Flower is located directly opposite Olympia Exhibition Halls and metres away from Earls Court. Only a 5-minute walk from Kensington Tube and Train Station, it is an excellent base from which to explore the rest of London. Just 15 minutes' walk from the famous Museum Mile, this family-run hotel is situated in elegant Earl's Court. West Cromwell Hotel has a 24-hour front desk and budget rooms with Wi-Fi access. The cosy bedrooms at West Cromwell Hotel have private modern bathrooms and tea/coffee facilities. Rooms also feature a hairdryer, TV and telephone. Traditional continental breakfasts are served daily at the West Cromwell Hotel, including fresh coffee. There is also a 24-hour supermarket just a short walk away. 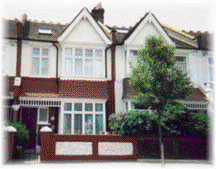 The hotel is situated just 600 metres from Earl's Court Underground Station. Stylish Knightsbridge is a 20-minute walk away, and Kensington High Street can be reached in a 5-minute walk.